Euroclad Australia specialise in the installation of non-ferrous Architectural Grade Copper, Zinc and Aluminium for both roofing and wall cladding applications. For over 200 years zinc has been providing architects around the world with the perfect solution for all their roofing & wall cladding needs. Composed of 99.995% pure zinc, to which copper and titanium are added, Euroclad zinc products ensure the optimum mechanical and physical characteristics. Soft, malleable and flexible, zinc meets almost every architectural demand whilst providing superior solutions over other metals. Extremely durable and low maintenance with exceptional longevity, zinc boasts an average life span of 60 to 80 years in a marine environment or over 100 years in an unpolluted environment. Euroclad is an authorised installer for VMZINC’s roofing and wall cladding products and can offer the longest warranties available. 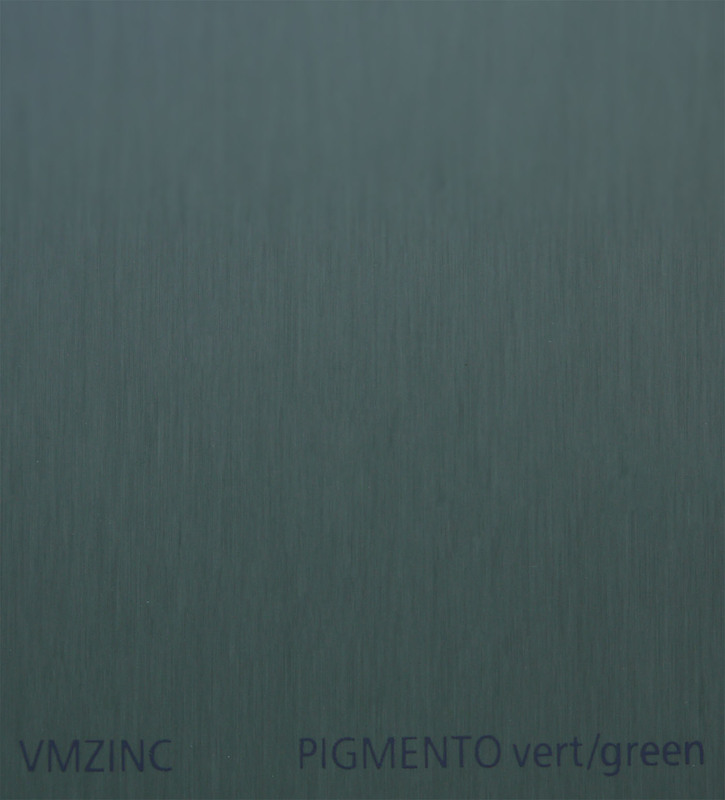 VMZINC offers an unsurpassed variety of zinc colours in six distinctive appearances for innovative architectural visions. Stunning, long lasting, and low maintenance, zinc is an elegant partner for many building materials, and can be embossed, perforated, and made rigid to incorporate texture into imaginative designs. Euroclad Australia specialise in a large variety of zinc cladding systems and zinc roofing systems such as Standing Seam, Euroclad panel, Flat-lock Panel and other zinc cladding solutions. 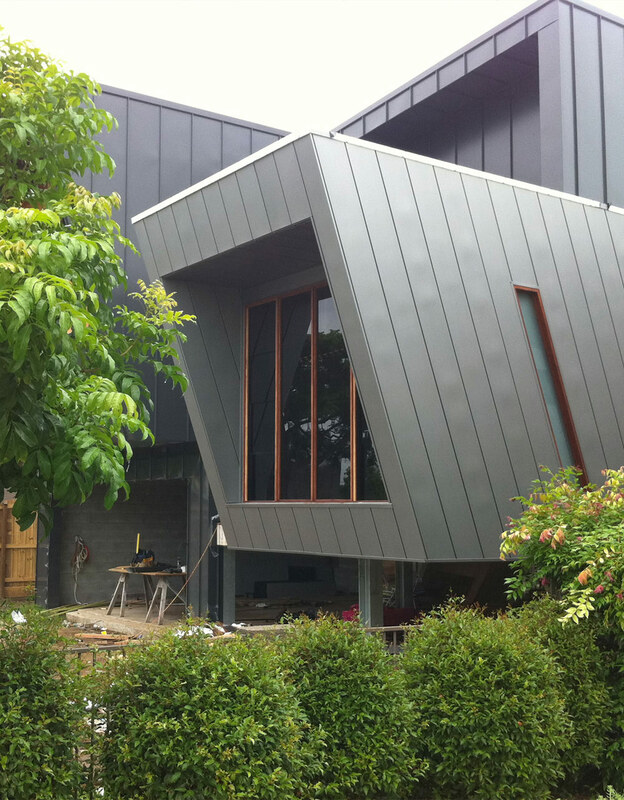 Call today for further information on the full range of VMZINC cladding and roofing products. Natural patina that develops over time. Quartz Zinc has a pre-weathered appearance and texture close to that of a naturally developed patina from regular zinc. 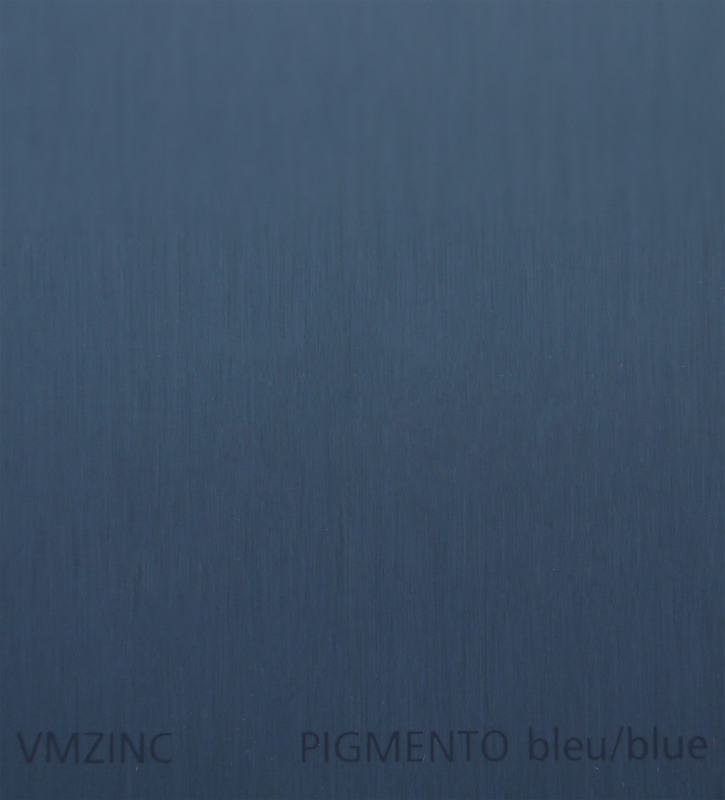 Immersing VM Zinc’s natural zinc in a solution which modifies the crystalline structure of the surface creates this unique, distinct, and striking product. The treatment is a durable chemical conversion, not a finish, but a genuine, long lasting treatment of the surface. The velvet grey tones of Quartz Zinc and its structural flexibility bring out the character of a building from the outset. Utilised extensively in stylish refurbishment, its natural looking colour blends beautifully with existing construction materials. 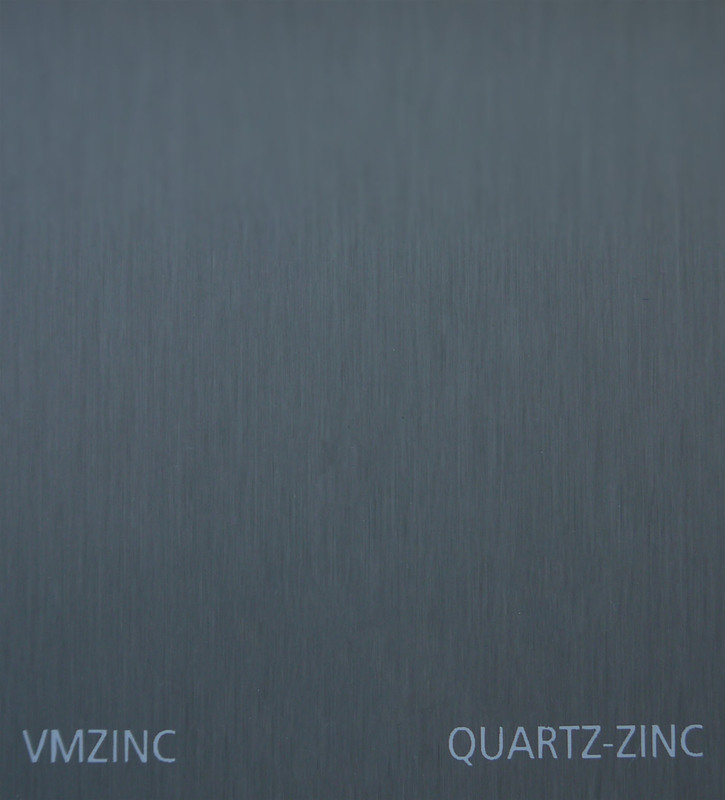 Pre-weathered Quartz Zinc is produced using a surface treatment on Natural Zinc by VMZINC. The pre-weathering treatment completed at the plant gradually evolves and coalesces over time with the naturally formed zinc patina. 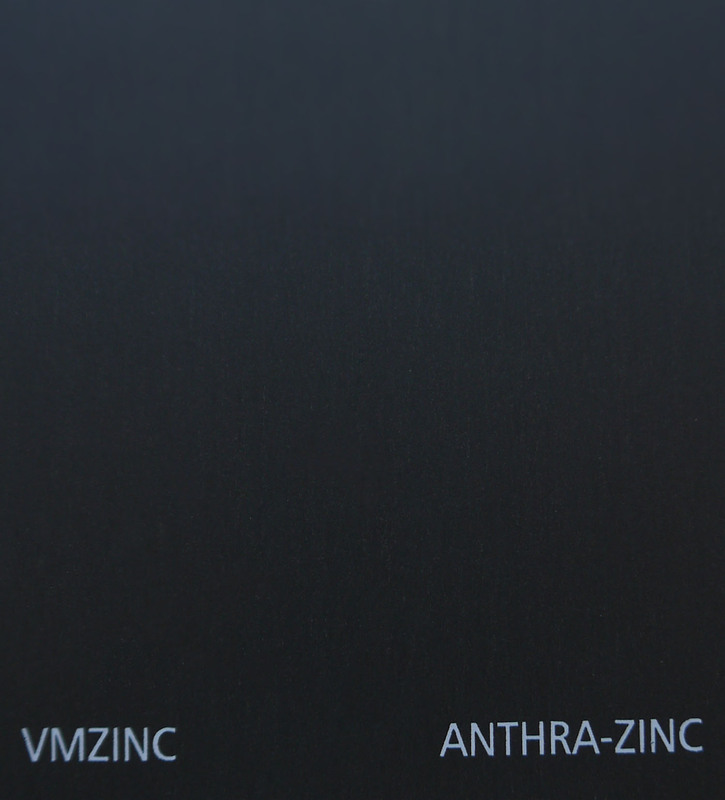 The rich, charcoal black of ANTHRA-ZINC was the first pre-weathered zinc offered by VMZINC thirty years ago. The velvet look and mesmerising colour variations have wooed architects in recent years and it is becoming increasingly popular as a cladding product. Combined with natural building materials such as glass, timber, and stone, ANTHRA-ZINC creates dramatic and visually impressive results. Over decades the black, silken look fades to a very dark grey, creating an effect much like slate. ANTHRA-ZINC is protected by an organic coating that prevents damage during transport and installation. 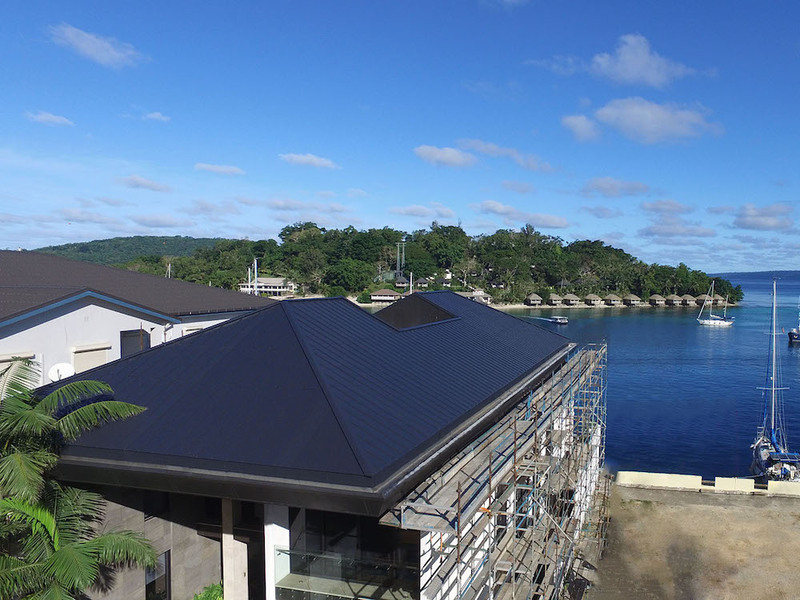 Installed professionally by Euroclad according to Umicore Building Products Guidelines, an ANTHRA-ZINC roof may maintain its beauty for well over 75 years and walls may last over 100. Like all VMZINC envelopes, ANTHRA-ZINC requires no scheduled maintenance, but for coastal areas, please contact Euroclad for advice. 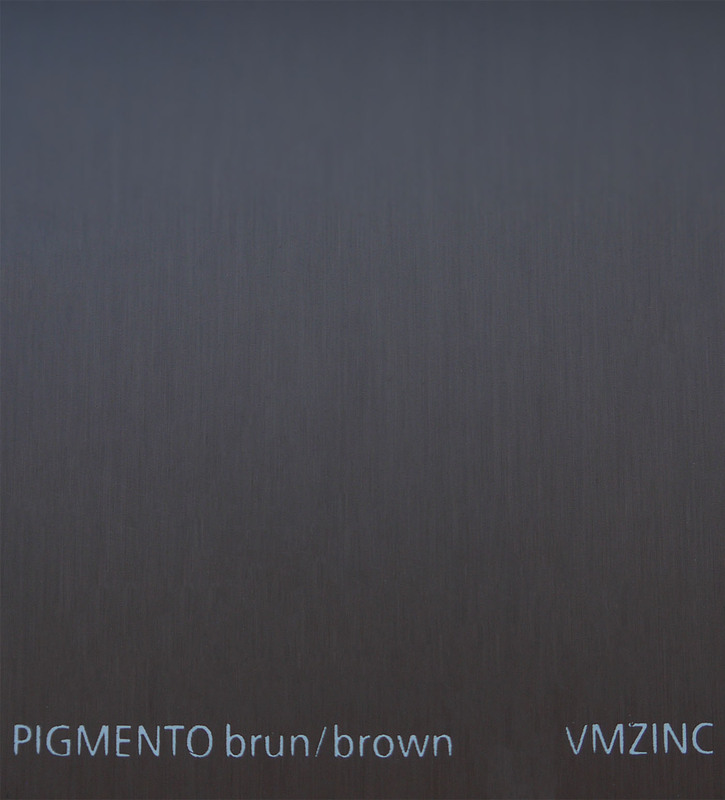 PIGMENTO® is a coloured QUARTZ-ZINC® that can enhance a project’s beauty while enriching the innovations of architectural design. PIGMENTO is currently available in four shades: green, red, blue, and brown. The surface of QUARTZ-ZINC is glazed with mineral colour pigments to produce PIGMENTO. The visible and natural texture of QUARTZ-ZINC will remain. The astonishing result is a distinctive shine that offers the deep texture of a natural material with the wide palette of man-made colours. Colour identity between batches are only slightly managed, allowing for variations. 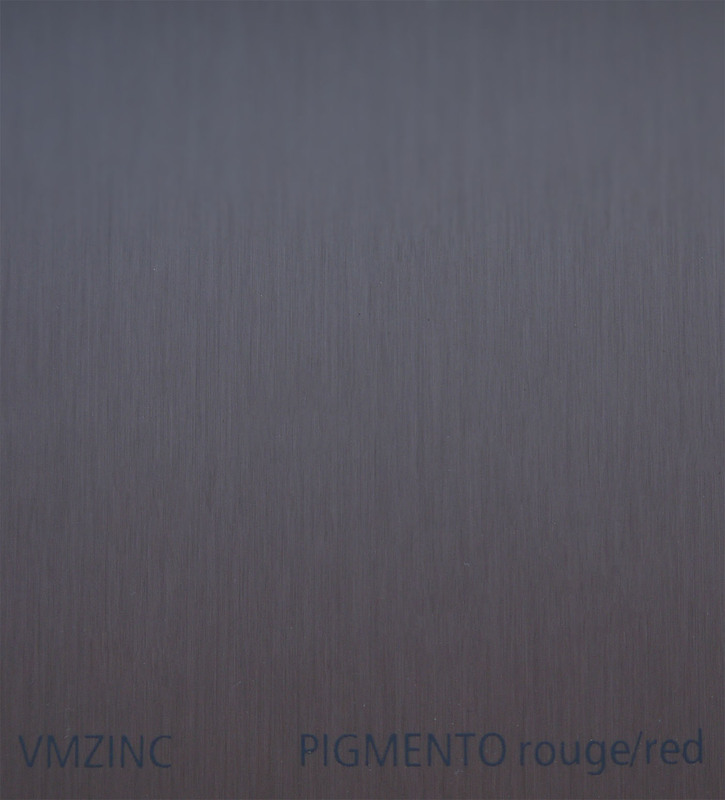 PPIGMENTO® is a coloured QUARTZ-ZINC® that can enhance a project’s beauty while enriching the innovations of architectural design. PIGMENTO is currently available in four shades: green, red, blue, and brown.